Neighbouring another of Assael’s developments in Greenwich, this terrace of four houses was designed to make a respectful but understated contribution to the surrounding conservation area. 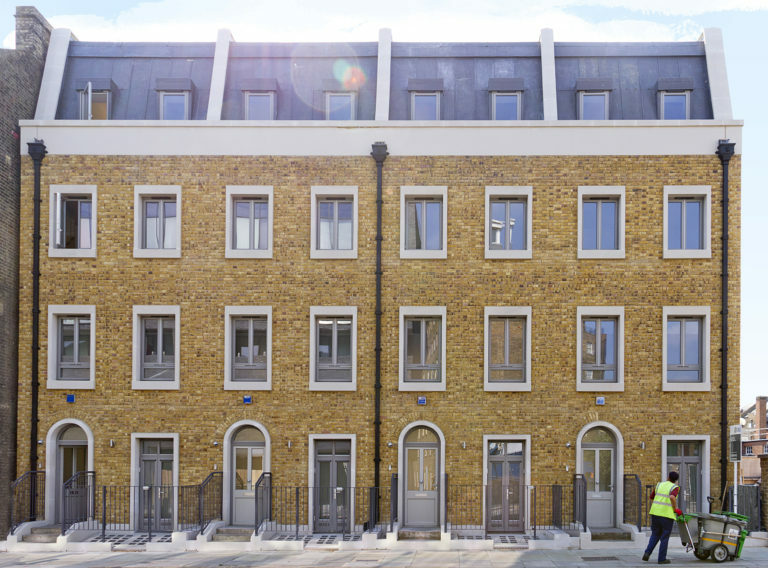 The handsome exterior makes clear reference to the rational proportions of the neighbouring townhouses and warm yellow London Stock bricks with simple white stone details give the homes a recognisably contemporary feel. 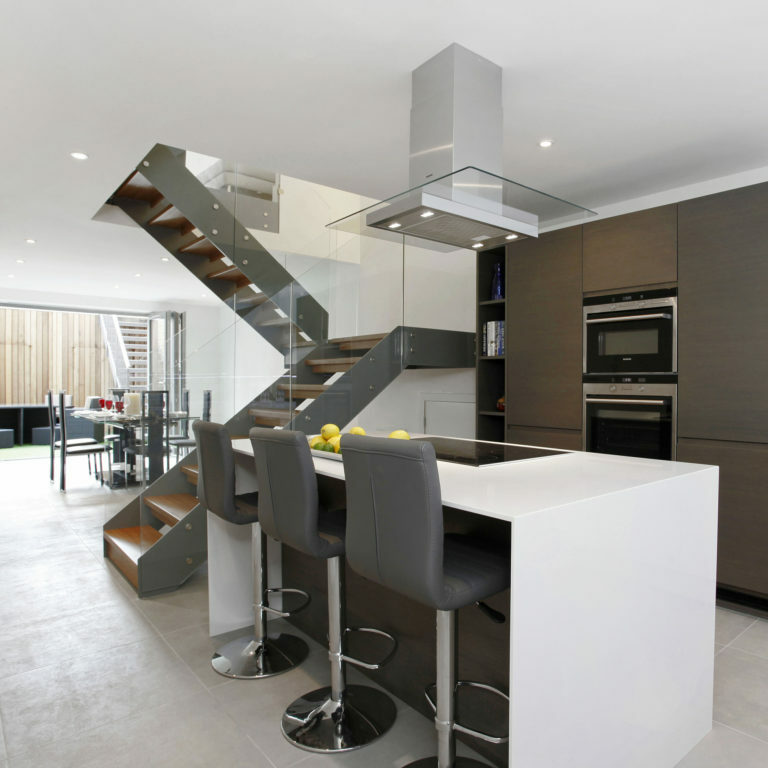 The internal layouts challenge the Georgian and Victorian neighbours by turning narrow plots into spacious interiors, with full height doors, internal windows and glazed open stairs to maximise light, permeability and outward views. 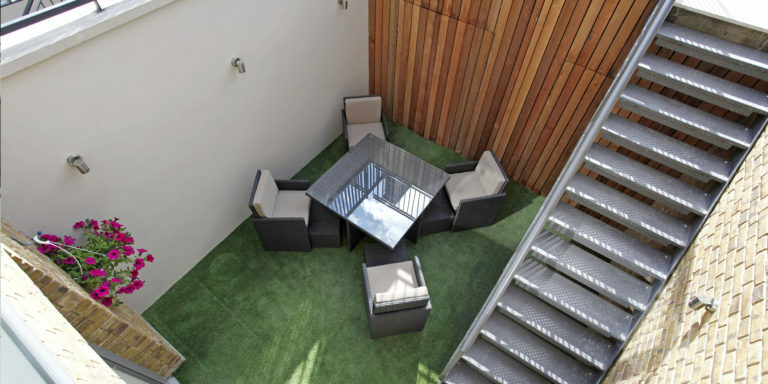 Spread over five floors, the houses feature an open-plan kitchen and dining room, sitting room, and four bedrooms, including a top floor master suite. 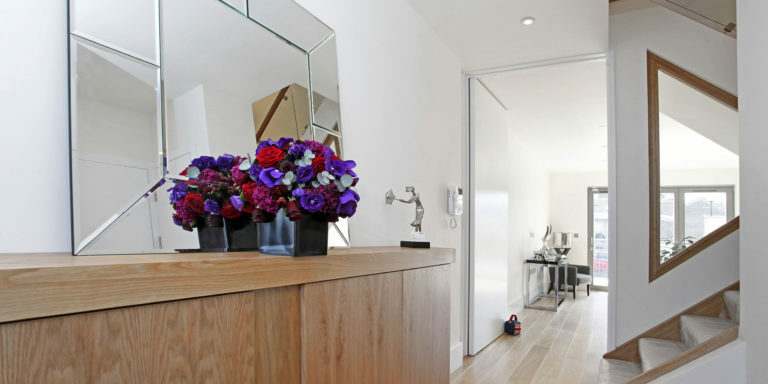 The refuse store is neatly hidden behind street-facing windows at ground floor, accessed over pavement lights that illuminate the kitchen below, in order make the best use of the space available.